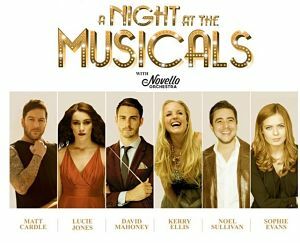 A Night at the Musicals comes to Cardiff St David's Hall for one night only on Sunday 29th October at 7:30 pm. The 25 piece Novello Orchestra, a name synonymous with the glitz and glamour of the musicals, will make its St David’s Hall debut after recent acclaimed performances at the London Palladium, Royal Festival Hall and Wales Millennium Centre. The show will feature show-stopping songs from Wicked, Les Misérables, Chicago, Hairspray, Miss Saigon and many more – and all under the baton of Only Men Aloud’s David Mahoney.